This is one of the most important species grown for Christmas trees, being favoured for its attractive foliage, with needles that are not sharp, and do not drop readily when the tree dries out. 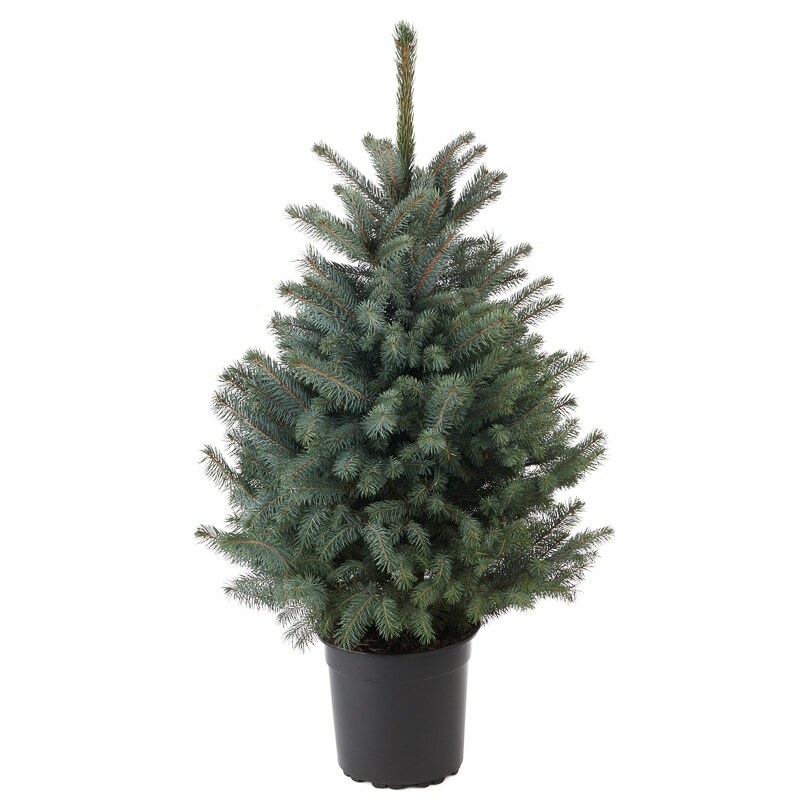 This tree has a traditional look with horizontal branches and excellent needle retention. For these reasons, this tree is a very popular choice and the top selling Christmas tree in England. 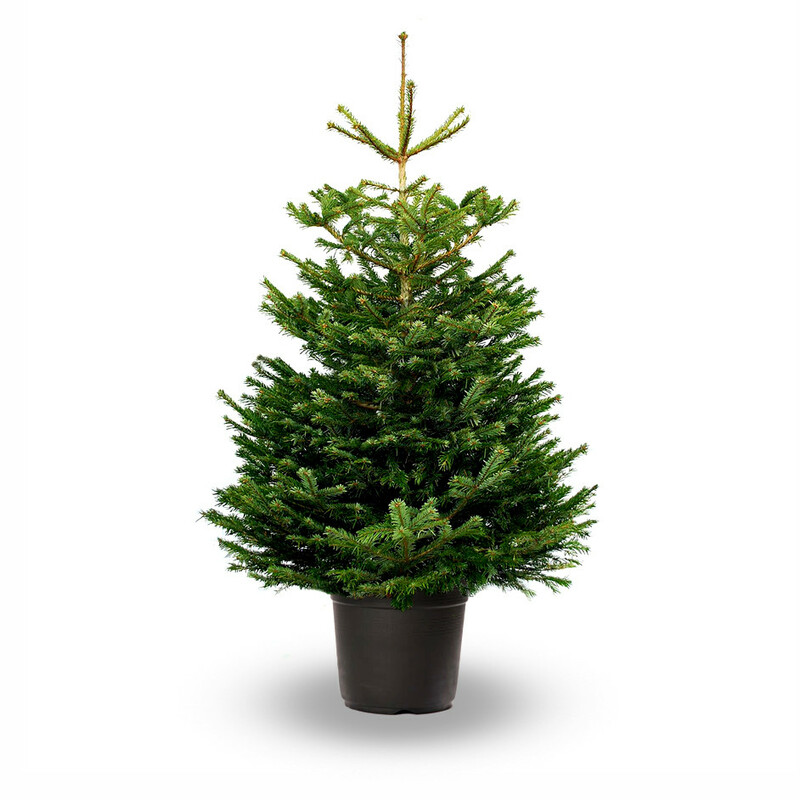 This is the traditional Christmas tree and continues to be a popular choice in the UK. 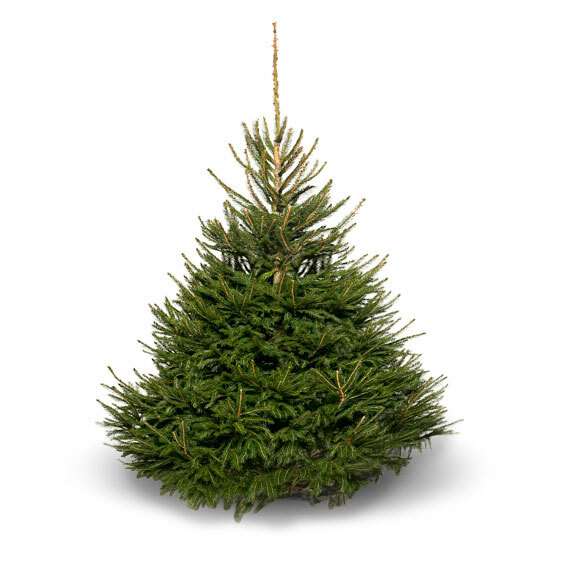 Triangular in shape with dark green needles, gently drooping branches, and that distinctive pine fragrance. Its dense bushy shape makes it perfect for decorating. However, these trees do not hold their needles well after being cut and can fall off after having been in the house for a period of 2 weeks. They will retain their needles much better if left outside and kept well watered. 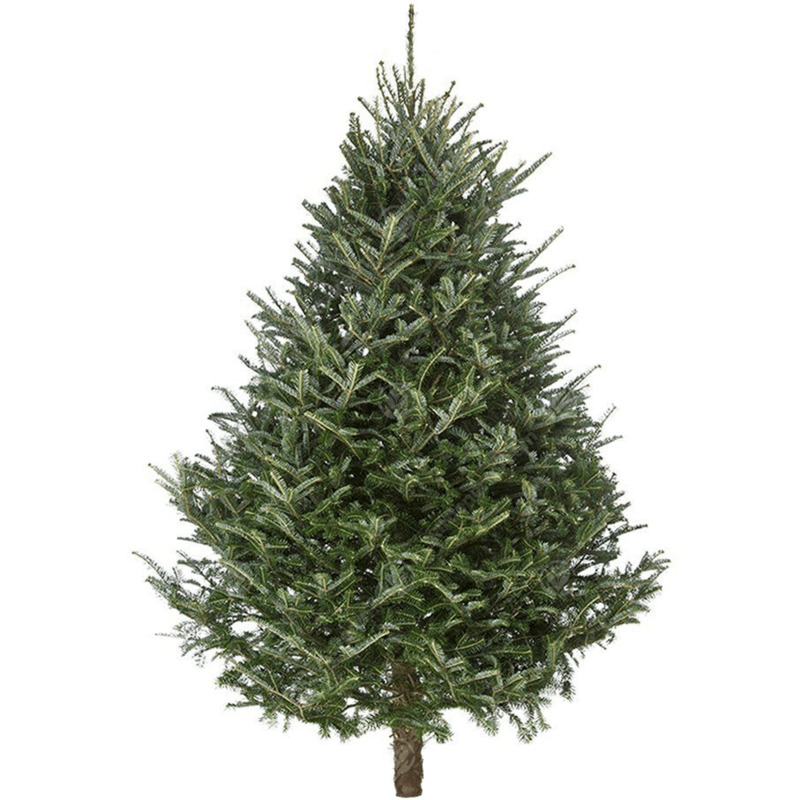 This tree is relatively inexpensive compared to the other types of tree. 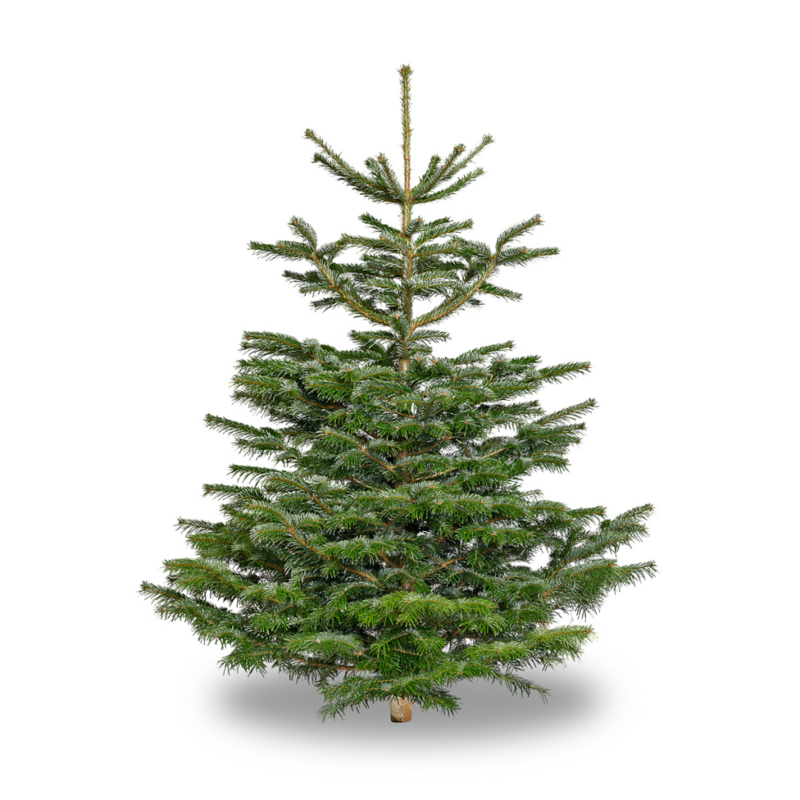 The Fraser Fir is widely used as a Christmas tree. Its citrus fragrance, shape, strong limbs and its ability to retain its soft needles for a long time when cut, which do not prick easily when hanging ornaments making it one of the best trees for this purpose. The Fraser Fir has been used more times as the official Christmas tree of the President of the USA in the blue room of the White House than any other type of tree. The Blue Spruce is becoming a much sought after Christmas tree as well as a good specimen tree in a larger garden. They are an attractive narrow triangular shape with blue/grey needles. The Blue Spruce does not loose its needles. These Christmas trees are grown from a very early age in their own containers. By growing them in this way, no root damage is sustained. Putting the tree into a pot thus gives the tree the best possible chance of being planted out after Christmas. This tree has excellent needle retention, a glossy deep green foliage and a classical triangular shape. Copyright © Dore Moor Garden Centre 2018. All rights reserved.